Every year when I start to put together this list, I turn to Goodreads to see which books got 5 stars from me and as usual, it’s not a super long list. I’ve always been pretty picky about handing out that perfect rating. What surprised me this year was that as I reviewed the books I rated highly, I couldn’t quite remember why I gave them 5 stars! (I ended up tweaking my ratings.) And it was actually a bunch of the 4.5 star books that stuck with me more. Because of that, it was impossible to whittle this down to just a mere 10 books. Plus there really were a lot of excellent reads this year! 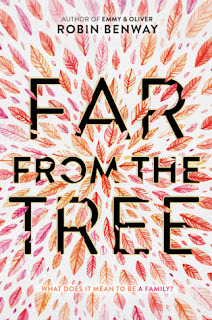 So I’ve decided to share 10 books from two different categories: Contemporary and Fantasy/Paranormal plus one honorable mention at the very end. Far from the Tree by Robin Benway • This YA novel about three adopted siblings who find their way back to each other just blew me away. Benway is such an underrated author and I hope everyone makes room for this book on their TBR. Foolish Hearts by Emma Mills • Every new Emma Mills book just gets better and better (and becomes a favorite). Her books always places a lot of importance on friendship, which means so much to me. 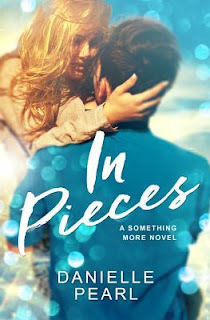 Moxie by Jennifer Mathieu • Another underrated author whose books I feel are so powerful. Her latest one on feminism and one girl who finds her voice and inspires others to do so is a must-read. Words in Deep Blue by Cath Crowley • The last Crowley book I read was four years ago so I was happily surprised to hear about this new release. It is for book lovers everywhere. Bloom by Beau Taplin • Technically it’s not fiction but it’s a collection of poetry about love, life and relationships so I think it counts as contemporary. He’s from Australia and my favorite poet! much while reading this. It’s so sweet and heartwarming while also taking a real look at juggling your personal heritage with the culture you grew up in. You Bring the Distant Near by Mitali Perkins • I didn’t know how much I loved generational stories until I read this. 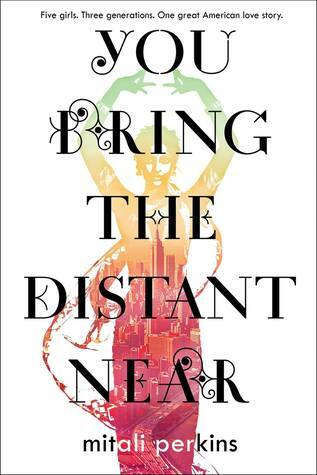 It spans the lives of such different women — grandmother, mother, daughters — in such a poignant way. Beautifully written. Eleanor Oliphant is Completely Fine by Gail Honeyman • Of the most different books that I read this year and surprisingly stuck with me. But when you meet Ms. Oliphant, you’ll totally understand why. Tower of Dawn (Throne of Glass #6) by Sarah J. Maas • This was the TOG book I didn’t realize I needed! At first I was bummed to hear the final installment would be pushed out in favor of a Chaol book (I’m a Rowan girl, ok?) but as usual, Sarah just blew me away with her storytelling skills. Lord of Shadows (The Dark Artifices, #2) by Cassandra Clare • I just can’t quit Cassandra Clare and her Shadowhunter world. 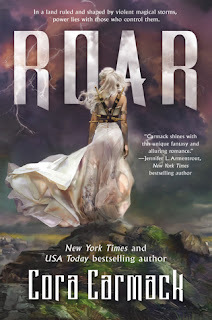 Roar (Stormheart, #1) by Cora Carmack • I was excited about Carmack’s venture into YA fantasy and she did not disappoint. I loved her take on elemental magic. Warcross by Marie Lu • There was a ton of buzz around this book and for good reason. Loved her futuristic, gamer-focused world! Strange the Dreamer by Taylor Laini • This author’s writing is so beautiful and while Strange the Dreamer does start off quietly and slowly, I promise you will find yourself so immersed in the magic and heartbreak of her characters. A Court of Wings and Ruin by Sarah J. Maas • WHAT A WAY TO END THE SERIES. Feyre continues to be one of my favorite fantasy heroines but I also became very (surprisingly) attached to Cassian (!!) and Nesta. 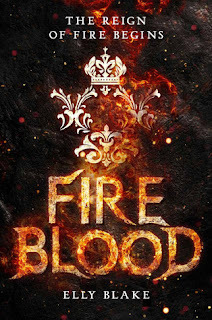 Fireblood (Frostblood Saga, #2) by Elly Blake • Whoever decided the second book in this series should be released only 8 months after the first — thank you! I loved the sequel and can’t wait for the third. Air Awakens series by Elise Kova • I was only supposed to read the first book for Flights of Fantasy book club but I was so sucked into the story that I dropped everything to read the whole series in a week. Written in Red (The Others, #1) by Anne Bishop • This was another book for Flights of Fantasy that I unexpectedly loved and binged (albeit at a slower pace). I still have the last book to read! Eona: The Last Dragoneye (Eon #2) by Alison Goodman • Alexa had been telling me to read this series for a while and since she read one of my ultimate faves (The Harper Hall trilogy), it was time to return the favor! Of course, she was right and I loved it. What were some of your favorite books of 2017? And did you love any of these books as much as I did? 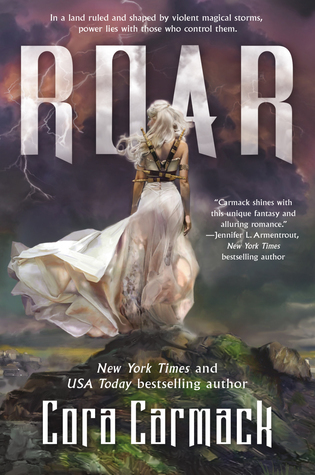 I somehow have never heard of Roar before! It looks good! Adding to my TBR list!